“Remember. Remember. Don’t forget. The words swirled through my mind. What did they mean? What were all these secrets? Greta, Ms. Ferguson, Sophie and Jill kept secrets from me. Even my mind kept secrets from me. Was there anyone or anything that could be honest with me?” (Kindle Locations 1081-1083). 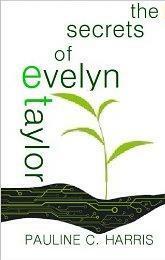 Evelyn Taylor needs to remember. But what is she forgetting? There is a reason she is holed up in a house and kept in a perpetual eighth grade. There is a reason she is not allowed outside. I was greatly disappointed with this book, however, I didn’t realize it was written by a teenager. What does a thirteen year old know about writing? What does a thirteen year old know about the world? Pauline C. Harris knew enough to craft a fun, easy read, but she was missing some of the important elements to bring the book together and make it something great. Harris keeps both the reader and the main character Evelyn in the dark about what is really going on. To begin, all the reader gets is a confused day to day randomness with hints at something bigger in the background. Harris keeps the meat of the story withheld too long and I think it would have been more interesting to have more of a clue of what was going on or to make this a short story and not try to make it a standalone novel. There is not enough of the story. There were too many characters introduced late in the story and not enough descriptions and personalities ascribed to them. This novel was published by Amazon Digital Services April 8th, 2013 and is available on Amazon here.